Fahey’s dreamlike … [and] powerful prose … delivers a remarkably written tale ….An engaging, introspective novel…. Full, realistic characters advance …. a compelling narrative that weaves the past, present, and future …. 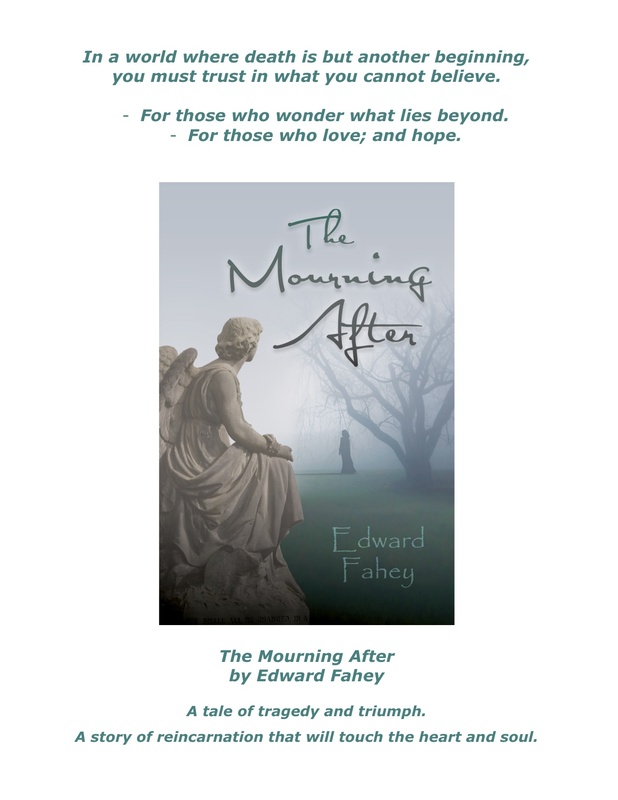 In the novel The Mourning After, Edward Fahey thoroughly and artfully explores … death, love, and relationships…. Masterful. Nightmares of war and death from lost centuries torment a young boy with ever more devastating detail until he can’t separate fantasy from reality. Denis meets a child he calls M, who seems to know his dreams intimately. She asks him, “Do you … remember?” He grows into adulthood amid disturbing evidence that his fantasies have been ancient memories. He finds a decrepit cabin in the woods where they start coming real. Outside is a grave for one of his “imaginary” childhood playmates, Enoch. Someone has been tending a garden over it. Through life after life Denis and M have loved each other with increasing desperation. He keeps dying young; leaving her grieving into lonely old age. Enoch, always in the background, somehow holds the key to ending this cycle of suffering. Denis now searches for M, as she fights her own haunting mysteries back to him. 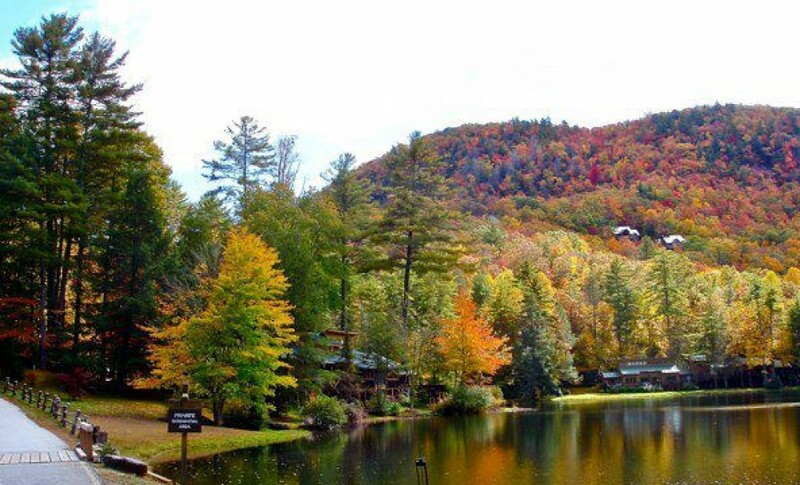 He meets a quiet, mysterious man in the forest…. You will believe in reincarnation. Probably before the narrator can. You will know that broken relationships can be mended, and that tragedy can lead to triumph. But most of all you will fall in love. This is a tale for those who never quite fit in. It’s a story of passion, where that which can’t possibly be true weaves through wonders that can’t be denied, until love makes everything real. “The Mourning After” is a masterpiece! 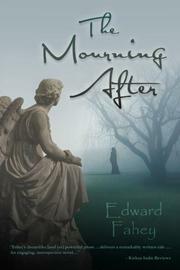 Edward Fahey’s “The Mourning After” is the rare novel that will stay in my heart forever. It is a page turner that begs to be savored slowly for the sheer beauty of its language as well as for its profound spiritual insights. The world needs more stories like this one that help us to reconnect at the deepest level to the essence of life, love, and humanity. This is a remarkable journey through cycles of time. Moody, crystalline prose. Yes!!!! I was up until 3 am reading this treasure, your treasure…. gift! Evie finally forced me to bed! Incredible, sacred work of art. I knew you were special and gifted but WOW!!!! I’ve never seen any writing that can continue to weave such beauteous eloquence throughout each paragraph and maintain it….kept going….. enchantingly mesmerized. Was still so deeply intertwined after closing my kindle I had to go into some pretty heavy meditation to break it so I could sleep!!! This is the kind of book that gets you so involved that you just HAVE to know how it turns out. It is a love story that spans many lifetimes, but with an eerie twist. Wait, maybe it is a mystery that happens to be a love story. I can’t decide. Either way, I got so involved in the characters’ lives that I couldn’t put it down. I made the mistake of reading it on my lunch hour. I was so curious about what would come next, I forgot to go back to work on time. The author has a knack for making you feel like you are really there. This book makes you laugh, cry, wonder, remember, and dream. It made me more aware of how grateful I am for the people in my life now, and for the ones who love me from Beyond. I have rarely read any book so slowly, pausing to savor each nuance. Each description is a jewel, each moment with each character opens new worlds. And still the story flows along seamlessly, gathering steam and momentum until it left me sweating to turn the pages. The final lines were an explosion of rich, tear-your-heart-out fulfillment, leaving me stunned. I have read this book several times now. With each re-reading it gets deeper and richer. `Sorry, you will have to buy your own copy’. There are some books that I just won’t lend and this novel is one of those. It is just too precious. `Mourning’ is an intense read which cannot be rushed. I have savoured each word, each description, each scene, each character. Umpteen times I have been stopped in my tracks by phrases or sentences which have then repeatedly pulled me back to reread and truly relish. Amazingly the momentum of the story was unaffected. I was carried along at an accelerating pace until I was in a lather of impatience to discover the ending. I felt I was waltzing with the story, twirling ever faster with the characters as I grew to know and love them. All too soon I had read the last page. So I read it all again. Different layers of this magical story emerged and I know that with each future reading I will be taken ever deeper into the nuances of this beautiful love story. A book which grows in intensity with each reading. Like poetry it flows and tantalizes. I loved the characters as they gradually evolved as the story unravelled. I wept with them and then celebrated their joy. This is a truly beautiful story perfectly told. Every word, every nuance so carefully chosen. It is a work of Love, written with Love and about Love. If you have ever truly loved you will find your own story here. If you have yet to find Love this book will lead the way. This is one book that will forever be on my bookshelf. After reading The Mourning After with delight, I said to myself, “This book is in the format of prose, but it is pure poetry.” The figures of speech surpass Cicero’s skill. The sometimes sweet, sometimes shocking descriptions rival The Aeneid. And I read it a second time to make sure I didn’t miss anything. Denis described young M’s “smoke-befouled mother … Impaling (Denis) on her stare”, stretching her grin until [it seemed]her lips were ready to split. Her stench of deception backed (Denis) away… “M snorted; her face arguing with itself over whether or not it was safe to laugh… Their internal battle was taking its toll. I watched M being drained in front of me.” Sitting behind the couch, M “smelled of old times and someone else’s memories. Like a single dry clove found upturned in an antique wood trunk, sealed through generations, until now… I brushed against her arm and tasted campfires.” Touching M’s leg, Denis tastes joy, hears starlight. But The Mourning After is much more than a book of poetic prose. It reflects a series of life lessons, and of theosophical knowledge and principles. I loved this book. it is a simple story which takes you on a journey of discovery with the characters as the story unfolds. The ending is so perfect and yet so unexpected, it left me with that wobbly/happy/sad thing… or is that just me?! Read it and find out! Reading The Mourning After is to encounter prose poetry at its best. Edward Fahey’s story is an enchanting tour of the past, present, and the future through the recurring lives of Denis, M, and Waters. Fantastic! – This is a book for everyone. I can see why someone said she didn’t want to give her book away. When you’ve finished reading it, you laugh and then you cry, and then it’s like you jumped off into some kind of void or something. It leaves a hole, and you want to start right back in reading it again from the beginning. This book is addictive. It’s a very beautiful story, – And maybe even a very important book? Two books to be read together: ‘The Mourning After, by Edward Fahey and “Children Who Remember,’ by Dr, Ian Stevenson, both about reincarnation, complement each other perfectly. Dr. Stevenson gives the empirical and anecdotal evidence, whereas “The Mourning After’ leads the reader; through its mystical, romantic style, to a deeper, more intuitive understanding. Both essential reading for any parents with children who remember their previous lives, and indeed for anyone who just wonders. This is fun, a creative diversion from Monday work overload blues. I’m going with “Dying to be me” by Anita Moorjani and “The Mourning After” by Edward Fahey. 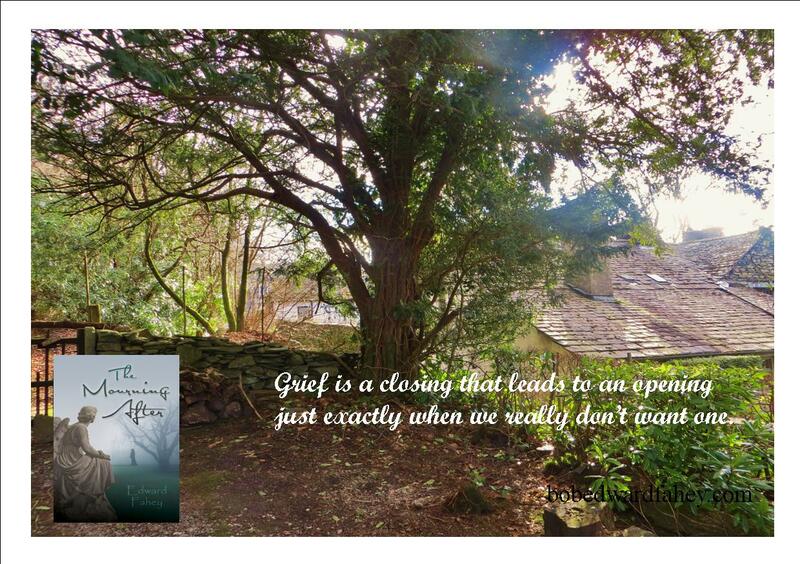 Both books are about the afterlife, a childhood of not fitting in, healing on all levels, mending broken relationships and the triumph of Spirit heralding a universe of miracles. But which is fiction, and which non-fiction? Blurring, then erasing, this divisive line, both affirm that love makes everything real. I came to slowly, found myself hugging Mom’s legs from behind. I got ready, but “Sergeant Carl” didn’t come home for a while. I washed up and changed to “fresh clothes for your father.” They were warm and smelled of ironing and I caressed them softly to my cheek as I turned back toward my mom scurrying around at the other end of the house; folding the ironing board up with a hoarse, friendly skraaack! Hiding baskets of folded clothes quickly in the closet, smoothing the wrinkles out of her apron but then taking it off anyway, folding it neatly and placing it in its drawer. I sat down in the hallway,[imagining] young men perched around their crackling fire, swapping stories. A lonely twang of harmonica, the boys’ songs filled with longing, as much for God, and the beauty of the land, as for loved ones left behind. Suddenly I felt as much as saw Mom snap to attention, slap on her best smile, and launch into a flurry of activity. The quiet tunes faded but left their shadows. Out in the driveway, Dad was belting out a robustly cadenced song about caissons rolling and field artillery. No longing or reverence, just stampeding over the enemy with arrogant pride. We heard the war song and knew where he’d been. We knew he’d come in smelling of cigarettes and beer. He marched to the vestibule, into the house, and slammed up against our alternate reality. I didn’t need to look up to watch his face and spirit sag, forced to once again acknowledge the son who would never be a hero. I knew he’d be staring at me as he greeted my Mom. Checking his disappointment at the door, stuffing his sense of loss into private pockets he thought we couldn’t poke into. “Denis is fine,” Mom reminded him of my name. I knew she’d then offer me a wink and a smile. I tried to smile back, but my chin was too deeply buried in my neck…. “That’s good, good,” Dad said. “I need to wash up.”He stood there a moment after turning back around; a moment that felt long and heavy, like a gray rainy day. He was wearing his special salesman shoes. Orangeish brown wingtips. “Twenty-five dollar Florsheims but worth every penny. A man’s gotta show he’s a man, that he’s got control of his world.” Looking down at them as we all stood unmoving, I could have spat out that long practiced defense, but it would only have left me feeling guilty and broken. I was holding him back. There were dustings of peanut shell powder below his knees and two or three small spills or splashes, some crushed shell webbing in the cuffs Mom had ironed to perfect steak knife creases, but nothing really out of the ordinary. Mom’s feet had changed from the stained tennis shoes that always reminded her she was “home with her favorite little fella,” to conservative, respectable pumps. Barely moving now, they shifted and rocked through their choppy but timeworn minimalist pas de none, like they wanted to run forward and pull back in the same instant. lot of it is popping it up all over the internet without my authorization. Do you know any solutions to help prevent content from being stolen? I’d genuinely appreciate it. I stumbled on your site somehow… Am intrigued by The Mourning After. Maybe we can do an author interview on my blog. I’m in the process of moving so Dec/Jan would be best for me. Come by and visit me at http://www.ellisnelson.com. My email is himalayaspencerellis@yahoo.com. You know better than to think you just stumbled on it unguided. But yes, I would love to chat sometime. I wondered if you’d catch that!